If you get out of your car every morning and go into a building where you’re involved with restaurant marketing, you might be like to know “The Seven Very Specific People Your Restaurant Needs to Reach,” or “Fifteen Forbidden Food Words to Never Use.” Maybe you’d like to skim interviews with celebrated food photographer Michael Somoroff, and renowned researcher Bob Drane? 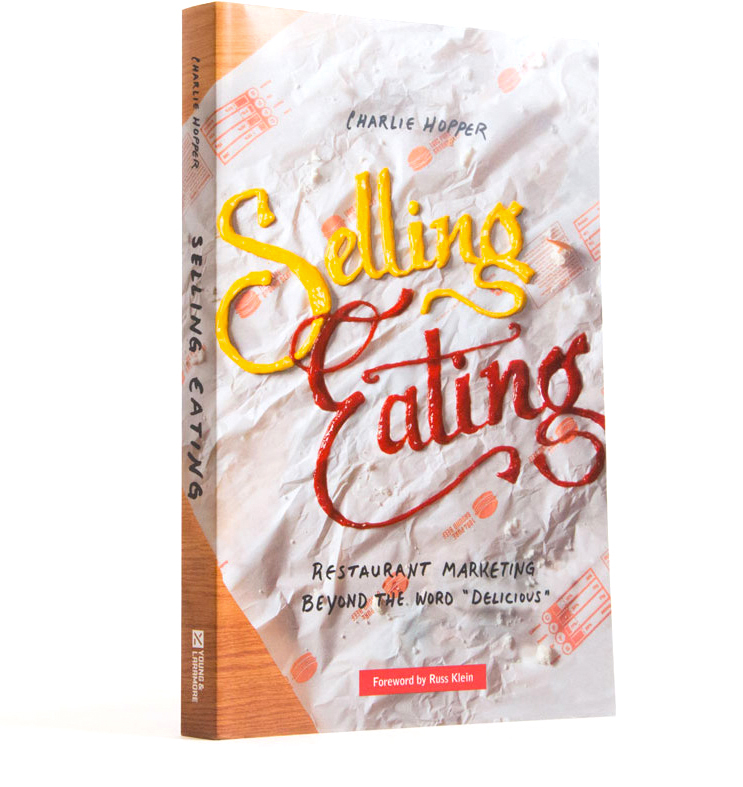 This is a book of insights, advice, interviews, how-to’s, tips, and occasionally challenging restaurant marketing notions drawn from over 20 years on the job: you’ll find something useful. Two Restaurant Marketing Campfire Stories. Question: Should Your Restaurant Exist? Positioning: Be Who You Are. Brand Expression: You Can’t Tell Someone to Love You. Consumer Research: The Deceptive View Through the Two-Way Mirror. Brand Repositioning: Three Restaurant Chains in Need of Course Correction. Brand Personality: A Consistent Voice Is a Sneaky Advantage. Marketing the Moment: Dividing A Consumer’s Experience Into Eighteen Separate Opportunities. Food Photography, Part One: People Are Visual First, Verbal Second. Food Photography, Part Two: What Is the Concept of the Food Photo? The Cliché Trap, Part One: If Your Food’s Better, Why Describe It the Same Way Everyone Else Does? The Cliché Trap, Part Two: Fifteen Forbidden Food Cliché Words to Never Use. Allow Me to Demonstrate: The Elements of Writing About Eating. Your Menu: It Serves About Three Purposes, and Probably Doesn’t Really Do Any of Them Very Well. Kid’s Marketing: Recruiting Your Next Generation. Social Media: Taking Hospitality Past Your Property Line. Promotions: How Not to Get Hooked on Them Like a Desperate Addict Whose Veins Are Too Scarred to Get a Needle Through. Simple Advice: How to Get People to Stop Listening to You. Execution: Getting the Little Things Right. Online Reviews: Anyone Can Say Anything to Everyone. Packing Up the Brand: To Go, To Cater, To Shove Out a Hole in the Side of Your Restaurant. Personnel: The Better the Manager, the Better the Everything. The Best Times of My Life Have Been Had Around Tables.